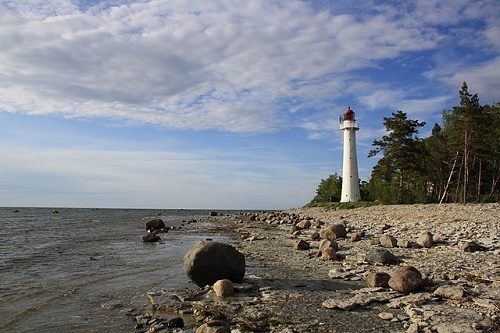 Vormsi is the fourth largest of the Estonian islands and is located between the mainland and Hiiumaa. It is called Ormsö in Swedish and Worms in German, but translates to ‘Snake Island’. I haven’t been able to find out exactly why, but I am sure that this would not be such a popular holiday destination if it were like the Snake Island off the coast of Sao Paolo, Brazil, to which travel is forbidden. Vormsi and its 14 villages is a summer retreat for many wealthy Estonians who have their summer homes here. It is the second or third (depending on your source) wealthiest area per capita in Estonia after the capital city Tallinn. Tourists have some fun options when it comes to accommodations. Mäe Farm, near the village of Rumpo is a fully functioning, old fashioned working farm that rents out rooms. Elle-Malle, at Hullo is the longest established boarding house on the island. In the summer, it is possible to book a romantic double room in the windmill there. The island has a history going back to the 13th century, when it was settled by Swedes who came from the nearby Swedish speaking parts of Finland, which was part of the Kingdom of Sweden until 1809. The Dominion of Swedish Estonia was established in 1561 when parts of Northern Estonia, including Vormsi, submitted to Swedish rule during the Livonian War. After the Great Northern War of 1700-1721, Estonia was ceded to Russia. Before the onset of World War II, there were about 3,000 Estonian Swedes on Vormsi. Many of the islands where the Swedes had settled were to become military bases for the Soviets and the majority of them evacuated to Sweden. 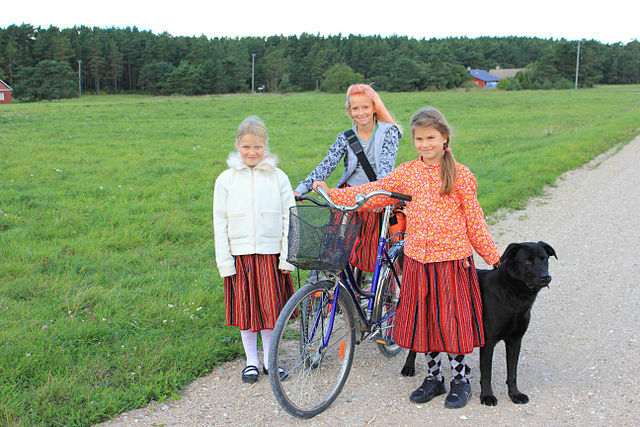 There are now only around 240 Swedish Estonians living on the island. A great way to explore Vormsi is by bicycle. Most accommodations offer them for rent and there are plenty of roads and paths. Old churches, ruins, windmills small sandy bays, villages and forests are all within easy reach. The island of Kihnu lies 7 miles off the coast of Estonia in the Gulf of Riga. The island is a UNESCO site designated as a ‘Masterpiece of the Oral and Intangible Heritage of Humanity’, which means that it has a distinct cultural heritage. The men of Kihnu have always traditionally been fishermen and seafarers, whereas the women were responsible for working the land, making the traditional clothing and preserving the folk culture, which included music, dance, games, handicrafts and religious rites of observance. 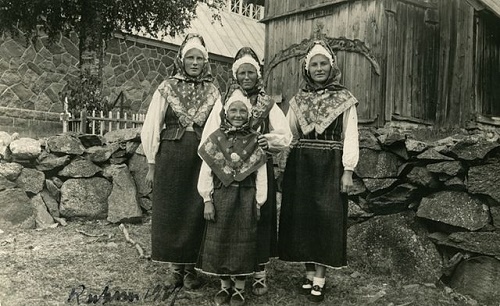 Kihnu is famous for its striped skirts and mittens and the colorful costumes that are still worn today are decorated in bright colors and patterns inspired by the island’s ancient legends. 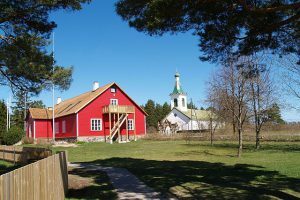 A distinct dialect is spoken in the four villages of the island which is different enough from regular Estonian for some to consider it a distinct language. The island has a population of around 500-600 people and is heavily forested. There is a grey seal colony and plenty of nesting birds to observe. The fishing village of Lemsi has an orthodox church and a lighthouse. The most isolated of the Estonian islands is Ruhnu. Ruhnu is located 23 miles from mainland Latvia in the Gulf of Riga and has around 100 inhabitants. A sort of backwoods retreat of wild pine forests and quiet beaches, the island has a similar history to Vormsi. Settled in the 13th century and controlled by the Swedish crown until being handed over to Russia in 1721, nearly all the inhabitants fled by ship to Sweden during World War II. There were reportedly only two families who stayed. Later, during the Soviet occupation, it was repopulated by Estonians, but after a devastating storm in the 1970’s, these residents left again. 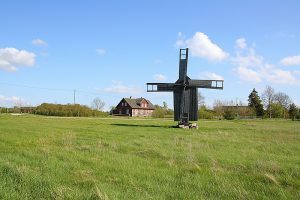 After Estonia gained its independence in 1991, some of the residents who left returned to claim ownership of property on the island. There are a few interesting things to see and experience on Ruhnu. 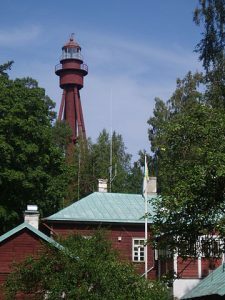 The Ruhnu Lighthouse was designed by none other than Gustave Eiffel and the parts were fabricated in France and shipped to Ruhnu where it was assembled in 1877. 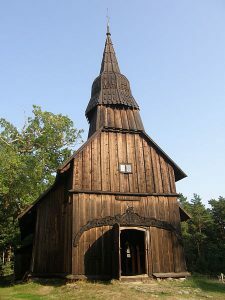 The oldest known still standing wooden building in Estonia is the wooden St. Madeline’s church, built in 1643. There was a stone ‘replacement church’ built just two meters away from it in the 19th century. At Limo Beach, you can experience the phenomenon known as ‘singing sand’. There is a lot of speculation as to what causes it, but on some beaches around the world, stepping on the sand will cause a high pitched singing or whistling sound. Some say that the sand has to be perfectly uniform and spherical to sing. It could have something to do with a dried salt coating as well. Even a small amount of pollution can ruin the effect and the sand has to be dry. Don’t miss the Estonian Ruhnu sheep, which is only found on Ruhnu, Kihnu and a couple small islands. 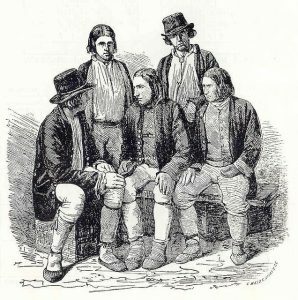 They have been raised in isolation from ancient times and are mostly white or cream colored with grey heads and legs and a badgerface pattern. Speaking of small islands, several hundred new Estonian islands were discovered just in the last decade. Whereas previously the number of islands was thought to be somewhere around 1500, 800 new ones have been recognized by cartographers. The number is now 2,222, although if you include islands in lakes, its 2,355.